Cocaine addiction is a very powerful addiction that requires checking into cocaine addiction treatment centers. It usually starts out as a social thing while out at the local bars on the weekends. 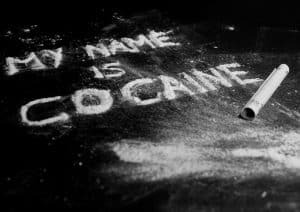 Cocaine abuse is usually associated with an upper – middle class and rich lifestyle, however, it affects everybody equally. Cocaine abuse, sadly enough, almost always ends up in crack addiction. Most people fool themselves into thinking they are not crack addicts because they do not buy crack on the street. They think because they are buying powder cocaine in the suburbs and then bringing it home and smoking it with baking soda and water they are not nearly as bad of as a crack addict, but they are. The problem with cocaine abusers is that trying to get them into addiction treatment centers is difficult. That is because they feel that going out to the bars and doing some lines in the bathroom is not as big an issue as say doing heroin. Also as stated earlier cocaine is associated with a classier lifestyle like you see on television, making it seem glamorous; however, it is far from that. There are many short-term and long-term risks with damaging yourself with cocaine. The huge list of short-term risks range from headaches, erratic behavior, increased heart rate and blood pressure, to stroke, seizure, and even coma. Long-term risks range from nasal and esophagus damage, the death of bowel tissue, and weight loss. The list of risks does not stop there. During a pregnancy, mothers who are addicted can deliver prematurely, have a child with low birth weight, or even neonatal abstinence syndrome. Cocaine addicts are also at constant risk for HIV, hepatitis, and other STDs due to sharing needles. Choosing addiction treatment centers to treat cocaine addiction properly is about finding a 90-day program. It takes more than 28 days to overcome a cocaine addiction. The problem today with short-term addition treatment centers is that they release them too quickly and without a plan. If a cocaine abuser spends 6 or 7 years getting high, how could the ever learn how to live differently in 28 days. Addiction treatment centers must also have a program that helps the cocaine abuser get the underlying issue of why the self-medicate in the first place. Many families make the mistake of thinking that the problem is the cocaine when in fact it is the person, cocaine is just the solution. Addiction treatment centers also are more effective when there is a more hands-on approach, another words the addict needs to be involved in all areas of the program and the aftercare. Many addiction treatment centers have a lot of downtime in the center such as state funded or government run addiction treatment centers. Time after time we hear the horror stories of people attending rehab 5 or 10 times. This can be avoided by choosing addiction treatment centers with high rates of success, long term inpatient, solid aftercare and having the client involved in the aftercare process. A major problem is that most cocaine abusers, like any other abusers, are only willing to do as little as possible. They are stubborn, self-centered, and take no accountability for their actions making attending addiction treatment centers less likely. In order for the addict to want to attend treatment, they need to own the problem. The only way to fix this is to stop enabling and make the problem that of the addict. Enabling is constantly seen because the families love the addict and want to care for them; however, this only hurts the addict in the long-run.